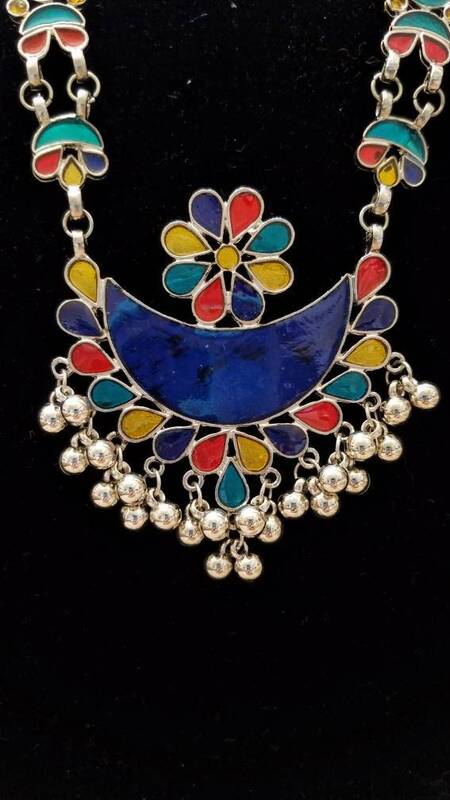 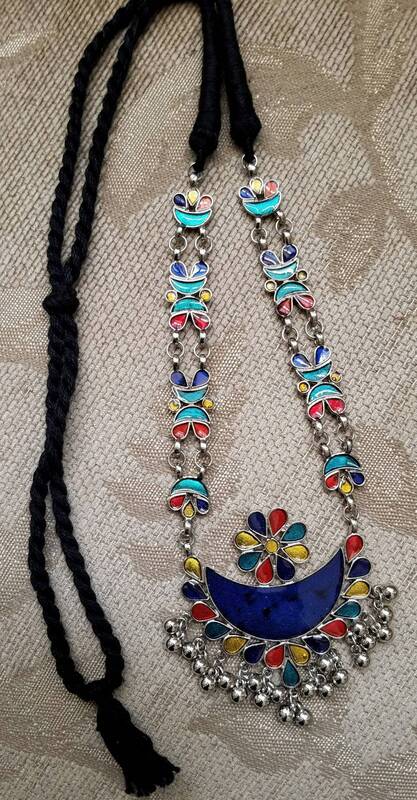 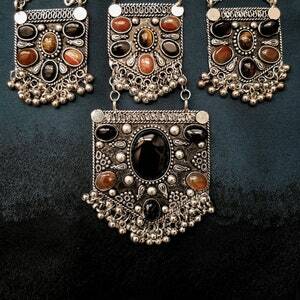 Gorgeous, shimmery Afghani pendant with fine detail. 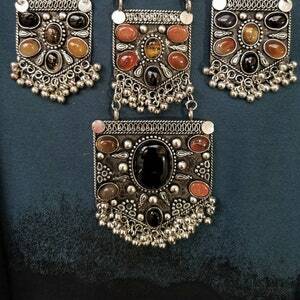 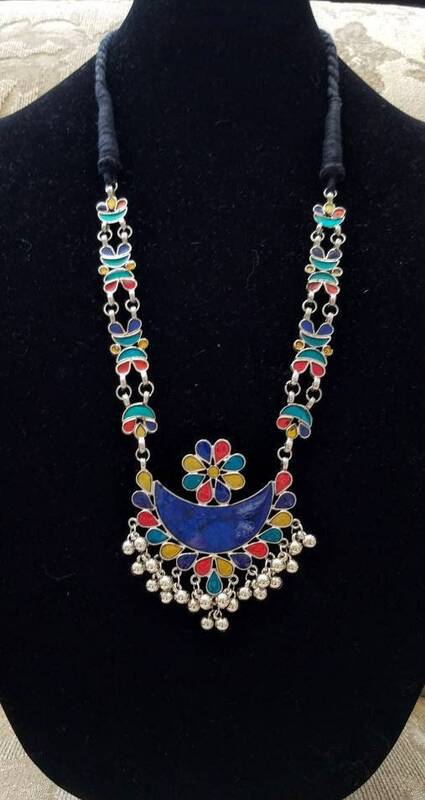 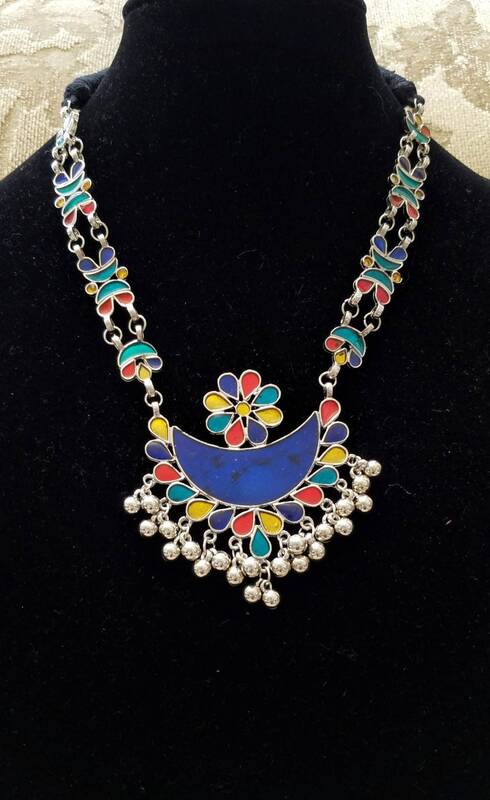 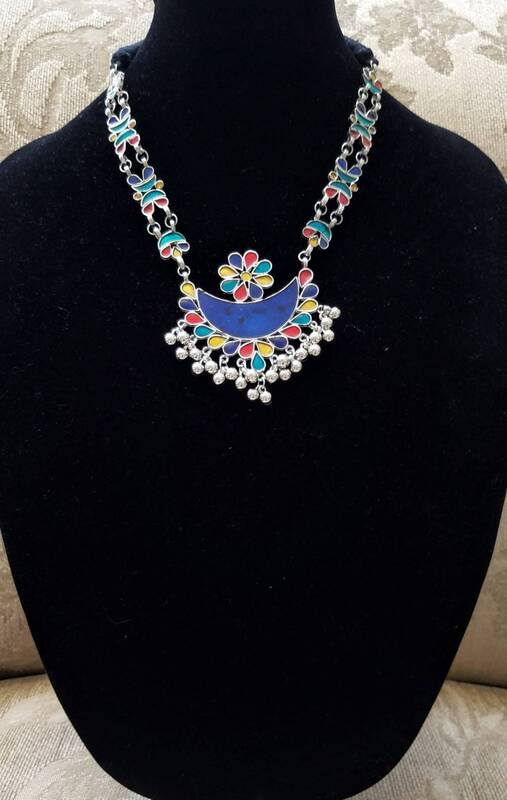 In oxidized silver color so as to give the lovely patina of a vintage tribal piece. 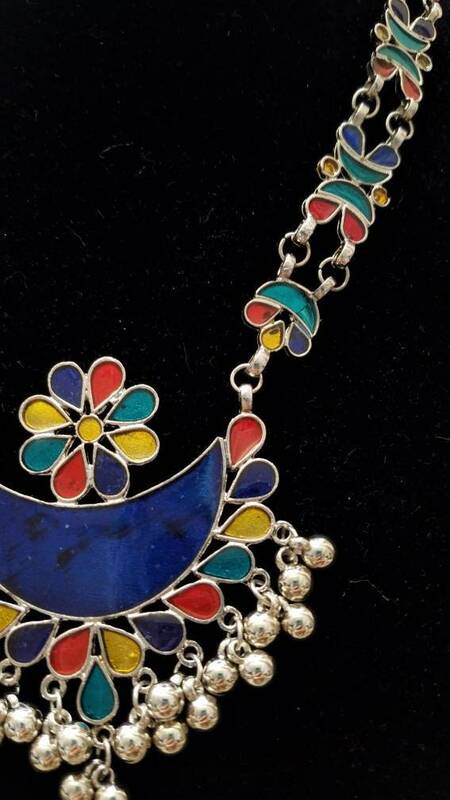 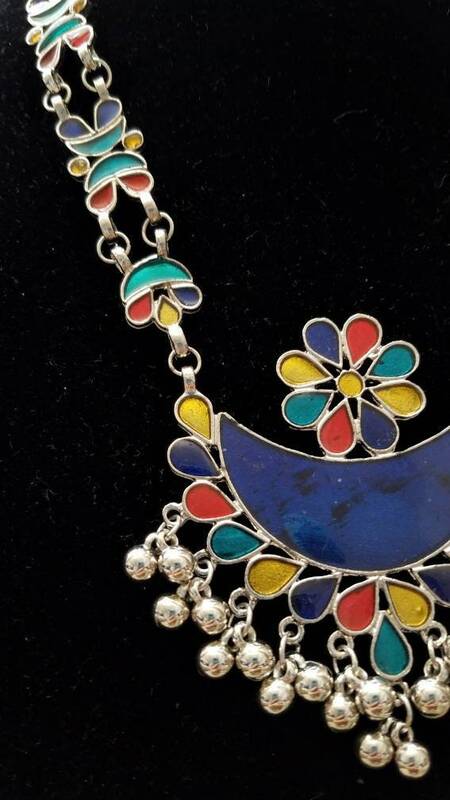 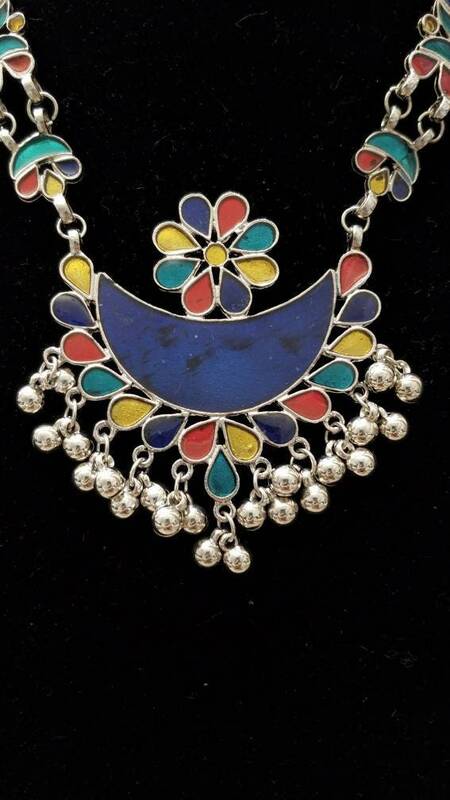 Fantastic color combination in vibrant enamel - deep blue, red, green, yellow. 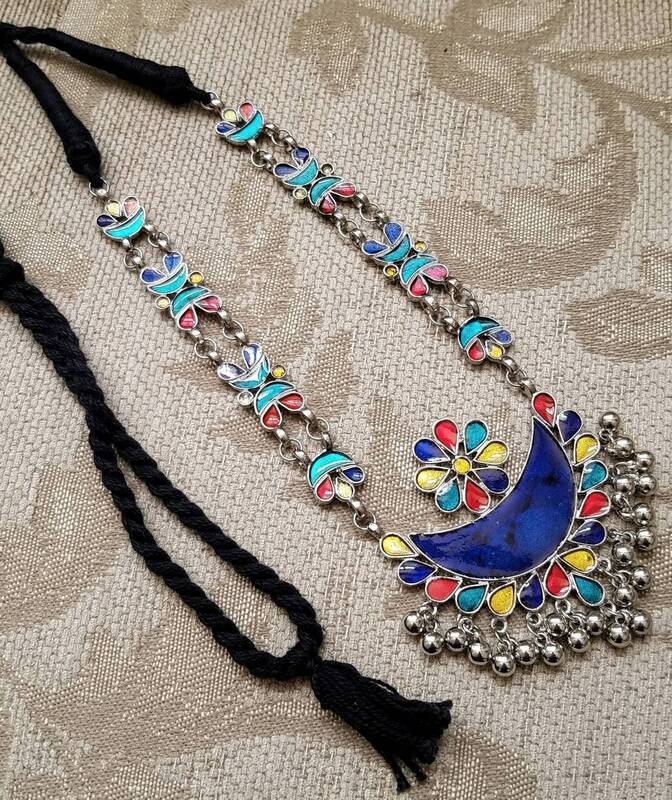 The colors just glow! 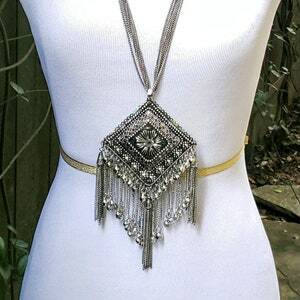 Adjustable length using sliding knot. 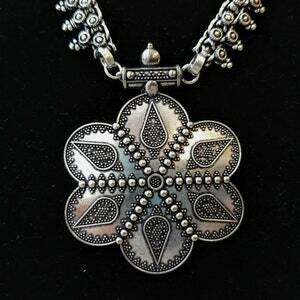 It moves when you move.